Data is all around. We collect it left and right. We use it daily, it drives important business decisions, and helps us connect deeper with our customers. Yet, data is oftentimes the antagonist in an organization, driving departmental silos if it’s not collected, managed, and distributed properly. Inconsistent data structures: Salespeople call it one thing, marketers call it another, and customer service....well, they have their own set of terms. How are we supposed to keep up with all of the different ways to label something? These types of data structures cause inconsistency, wastes time, wasted resources, and erases productivity. Siloed Departments: Departments that do not speak to each other at all, therefore resulting in a ton of mixed messages floating around. In siloed departments, everyone has a different way of collecting and storing their data and nobody has efficient access to this data when they need it. 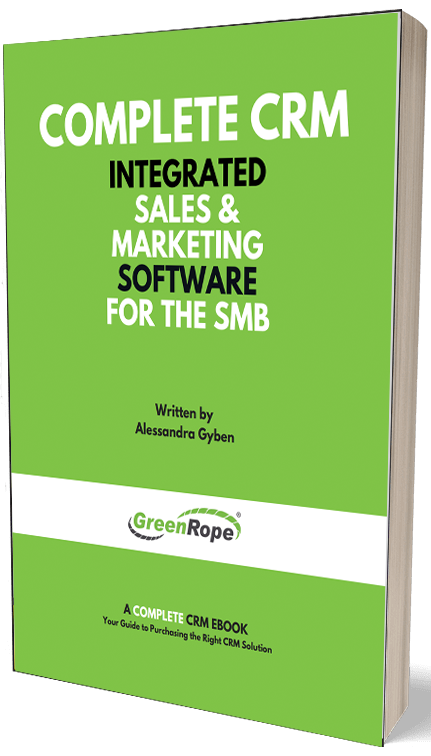 Non-integrated sales and marketing software: Too many software systems in each department mean that everyone is using a different system and/or process to collect and store data. This results in an overwhelming amount of repetitive data that is not shared or accessible throughout the organization. Now those who need this data have multiple sets resulting in inaccuracies and mistakes. Do you remember the days when marketing was marketing, sales was just sales, and customer service was just customer service? Organizations used to function in silos. No departments collaborated, leaving a lot to be wondered amongst disparate teams. When a business lives in silos, it becomes very difficult to understand who your customers are, how your efforts are working, and whether your clients are happy. Each department has a unique role in serving a customer, which enables one team to connect in a different way than the other. Innovation, growth and success stems from collaborative teams making decisions based on data collected from each department. Technology has allowed us to destroy the silos to become much more productive (and happier) teams. Embracing data stems from the top down within an organization. If data is not considered an important asset at the top, collecting, managing and using data will be ineffective, if even expected, at the bottom. However, this is detrimental to any modern business. Data drives good business decisions and gives us the upper hand when developing strategies that contribute to growth. A vision that doesn’t support the use of data is more like a lack of vision than anything. A single picture of the customer is critical if you plan on targeting them effectively. Having multiple disparate systems that don’t talk to one another is keeping you from obtaining that holistic view you need to make sense of all the data. When your sales, marketing, and customer service data flows in through the same dashboard, you automatically have a single, easy to read customer profile. Not to mention, each department can be given the appropriate access to input, manage and view the data they need to get the job done faster, and more importantly, better. What’s the point of having so much data if you can’t use it? You’re wasting valuable resources if you aren’t integrating your data. Marketing needs access to both customer service and sales data, while sales needs access to marketing data and customer service data. The more information marketers have about the leads and customers, the better they can target their messaging - making lead generation and nurturing more FAR more effective. Think about the money and time you waste just blasting out general messaging. There is too much competition out there to not use data correctly, in fact, if used poorly, it can ruin your customer experience. Schedule a meeting of the minds and bring all department heads into one room. Establish your data sets. What information does each department need? Make sure that your CRM has both user-defined data fields AND custom objects to ensure you can collect all data points. Determine a universal way to record your data that each department can agree on. For example: “US” vs. “USA” vs. “United States”. Make sure your CRM is setup for success with all of these new data points. Ensure each team member in each department has the appropriate access and permissions in the CRM. Go through a training with each department to get buy-in for the new data system. Create a cheat sheet for each department so that everyone can easily remember the data structure you’ve put in place. Follow up regularly with your team to see if you need to reevaluate the structure or any data points. Reward those who actively use the data structure. Regularly clean your data to maintain a working and effective database!